Be the first to share your favorite memory, photo or story of Doralene "Darlene". This memorial page is dedicated for family, friends and future generations to celebrate the life of their loved one. Doralene “Darlene” Derry Scott, 86, years old, passed from this life to be with our Lord on March 16, 2019. She passed away at the Hoffman Hospice House in Bakersfield, California. Darlene was a devoted wife, mother, grandmother, great grandmother, sister and friend to anyone that knew her. She was married to Bob Scott “Grandpa Bob” until his death, where they resided in Exeter, California, where they were very involved in their church. Darlene devoted her life entirely to her family, as they were all her prized possessions and she always put her family first. Darlene was a true jewel who’s sparkle will never fade! She loved to read, especially romance novels. The love and concern for her family and others was the most genuine love that anyone could ask for and if you were lucky enough to know her you were blessed. She was preceded in death by her husband, Bob Scott, her father Willie “Chief” Derry, her mother Kaiwana Loretta Clowers Derry, her son Dwayne Hensly, her daughter Kaiwana Cathy Carr, brother Bill Derry and sister in law Rosalee Derry, nephew Gary Derry and grandson Ricky Williams. She is survived by her son, Marcus Williams, daughter, Glenda Pitcairn, grandson, Baretta Williams and wife Genifer, granddaughter, Mandy Walpole and husband Harry, grandson, Joshua Williams, great grandsons, Dax Williams, Zane Williams and Weston Walpole, great granddaughters, Sky Williams and Jayde Walpole, brothers, Harold Derry and Ron Boling and wife Melinda, niece, Linda Derry and nephew, Kenny Derry along with many more family and extended family. 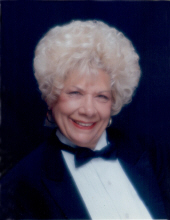 Services for Darlene will be at Peters Funeral Home, 844 E. Lerdo Hwy., Shafter, CA 93263 on Monday, April 8, 2019 at 10am. Interment to follow at Shafter Cemetery. The family would like to especially thank Hoffman Hospice, Tom and Beth Hoffman and all the amazing staff who was so caring and trustworthy, making this a dignified and loving final journey. To send flowers or a remembrance gift to the family of Doralene "Darlene" Derry Scott, please visit our Tribute Store. "Email Address" would like to share the life celebration of Doralene "Darlene" Derry Scott. Click on the "link" to go to share a favorite memory or leave a condolence message for the family.